No.10 Platoon, "B" Company, 10th Parachute Battalion, June 1944. Click here for a full-size (425kb) photograph. 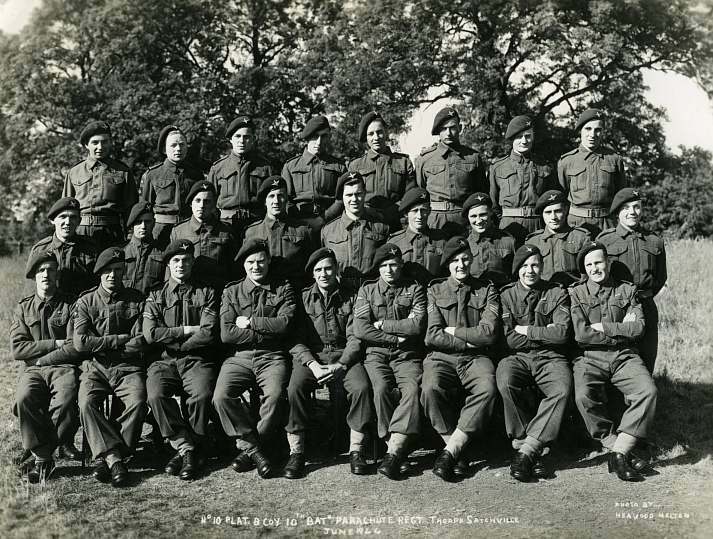 Lieutenant Albert Edwin Baker sits in the centre of the front row.